Where in The Home Should You Have a Fire Extinguisher? A fire in the home is that last thing that anyone wants to think about. House fires are more common than you might think, though. In the case of a large fire, you should always phone for the emergency services. If you can tackle a small fire with a fire extinguisher before it gets out of control, though, you can prevent the fire spreading. 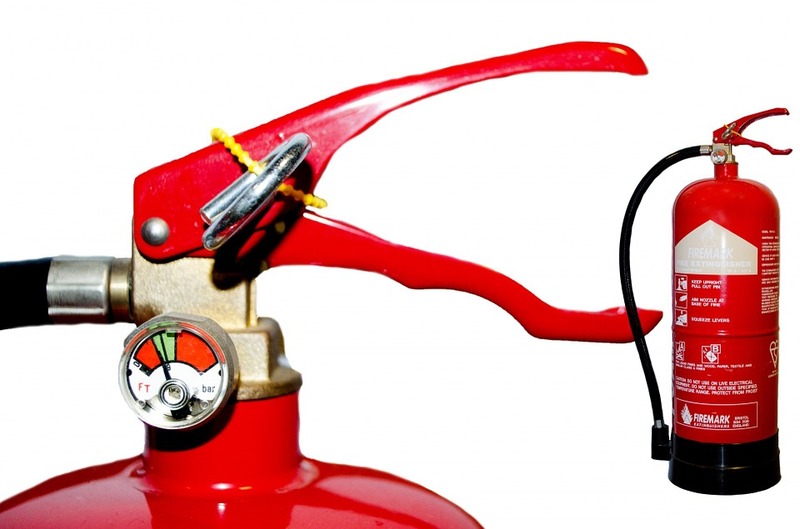 For a fire extinguisher to be of any use, you need to be able to get it at it quickly. So where in the home should you keep a fire extinguisher? Here are the places in your home that it would be advisable to have a fire extinguisher. Approximately 65% of all house fires start in the kitchen. So, this is the number one place in the home to have a fire extinguisher. Fires in the kitchen can be started by overheating cooking oil, food left on the stove too long, and by clothing or dishcloths catching fire. To fight fires in the kitchen, a class a K or A fire extinguisher will be needed. These are suitable or extinguishing grease fires. Most house fires start at night. For that reason, it’s a good idea to have a fire extinguisher in the bedrooms. Keep a general purpose, class ABC fire extinguisher in your bedroom. Then, you’ll have a way of fighting fire that might be blocking your escape route. If you spend time working in your garage or a workshop, a fire extinguisher is needed here too. If you work with power tools, sparks could ignite flammable material in your workshop. An ABC fire extinguisher would be suitable for this purpose. It will extinguish wood and paper fires, flammable liquid fires, and electrical fires. Fire departments are called to thousands of grill-fires every barbecue season. These types of fires often spread to the home as well. Gas barbecues are especially dangerous, because the propane gas can explode. Whenever you grill or barbecue, have a small fire extinguisher at hand. Then, you’ll be able to tackle a fire quickly and prevent it from spreading to the house. The laundry room is another common starting place for home fires. In this case, it’s usually faulty electrical appliances that start the fire, or its appliances overheating. It’s important that you keep a dryer free of lint. If lint builds up in a dryer it can cause a fire. Keep a small fire extinguisher in the laundry room, just in case a fire does break out. If you live in a home with several floors, you need to have at least one fire extinguisher on every level. Remember, too, to keep fire extinguishers where they are easily accessible. They may not be the prettiest things to have hanging on a wall, but they could save lives. What you don’t want to do is let them get buried at the back of a cupboard. Fire extinguishers are just one line of defense against house fires. You also need smoke detectors, and you need to practice your home fire drill. If you’d like to learn more about fire prevention in the home, visit Best Panic Alarm. They have lots of advice pages and some very good home safety products reviews too.